Home >> Providers >> Richard Shack, M.D. 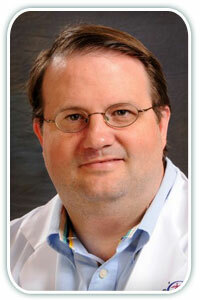 Dr. Shack joined our practice in 2009. He is from Eufaula, Alabama; which is where he spent the previous 8 years in solo practice. There, he took care of a variety of patients from an age of 2 years to 100 years. He received his medical degree from the University of Alabama in Birmingham in 1998. He earned his bachelor's degree from Auburn University in 1994. Dr. Shack grew up in the Roswell area and his family is still here.